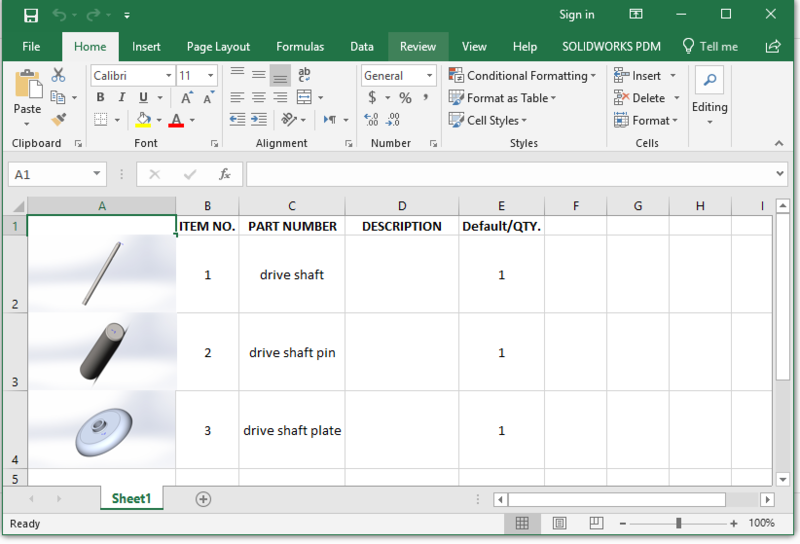 This macro exports a selected SOLIDWORKS BOM to Excel. A thumbnail preview is created for each of the BOM components. You must have Excel installed. This macro works with parts-only BOM. The following macro deletes all the properties from the active configuration. The macro is written used late-binding so it is version independant. The deletion action will be confirmed by the user. swApp.SendMsgToUser "Drawings do not have configurations"
swApp.SendMsgToUser "Configuration " & activeConfigurationName & " has no properties to delete!"